Our unexpected guest that stayed longer than the rest. 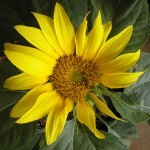 The sunflower is know as a symbol of lifting spirits. 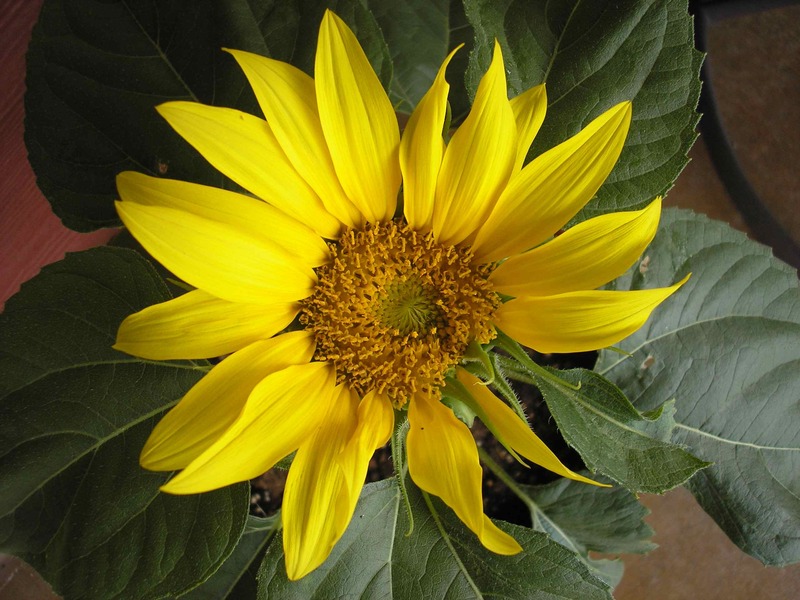 Its bright petals are like rays of sunshine that offer a gift of happiness and warmth. About 5 years ago we decided to fence 660 feet of property line with 800, 12-14 foot tall sunflower plants. All sprouted and grew about 8 inches tall, the day the deer ate all to the ground (yes, every single plant!). So much for our dream of how the fence would look outlining the back of the property with a bright and cheery row of sunflowers to welcome our guests. Fast-forward to a couple of months ago. Expanding our herb garden to include mint this year gave rise to a sunflower. Potting soil used for the mint secretly held a single seed. Recognizing its form and shape, this flower is planted in its own pot. Now the deer won’t eat the last survivor. What a great little gift we discovered in the soil. 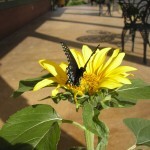 You just never know what little treasure you may find at Terrapin Peak Bed, Breakfast & Beyond. Genny and Chef “What’s His Name?” vacationed at Lake Tenkiller for more than 15 years. At their special Lake Tenkiller lodging location they enjoy sharing their home, life stories and love of the lake with their guests. To sign up for a free guide to Lake Tenkiller and receive Terrapin Peak Bed, Breakfast & Beyond news updates CLICK HERE. 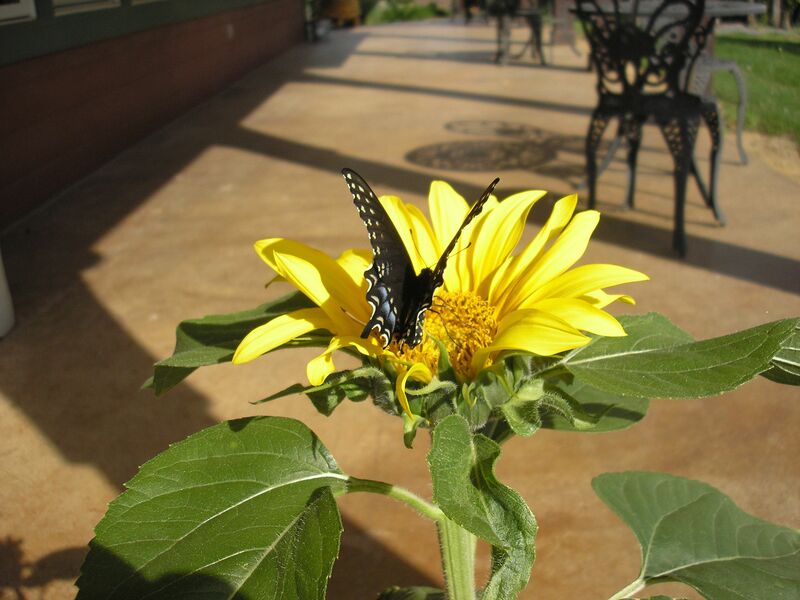 This entry was posted in Flowers, Lake Tenkiller Lodging, Summer and tagged Bed & Breakfast, Lake Tenkiller, Sunflower by Genny. Bookmark the permalink.